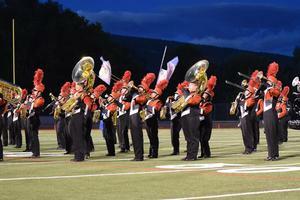 When the Durango High School Marching Band takes the field, they reach for the sky. This fall the band traveled to Grand Junction to compete in the CBA Colorado West Marching Invitational where they received 1st place in 3A. This is the first time the DHS band has placed 1st at this festival in over 20 years. They kept the momentum going as they took 2nd place at regionals on October 18th. The band performed a trio of songs by Jair Klarfeld for their program “To Reach for the Sky.” The songs performed were “Blueprint and Building,” “Touching the Sky,” and “Shaping Us, Shaping the Future.” The show took inspiration from the construction of the Empire State Building in the 1930s, and depicts what it took to create the art deco skyscraper and tallest building of its day. The band is lead by 2018 Drum Majors Holden Becher, Joshua Snowberger, and Roland Madrid and is under the direction of Katharine Reed, and DHS staff members Kayla Mohlman, Gina Baker, Callie Huckins, Reiley Waldo and Tylor Williams. 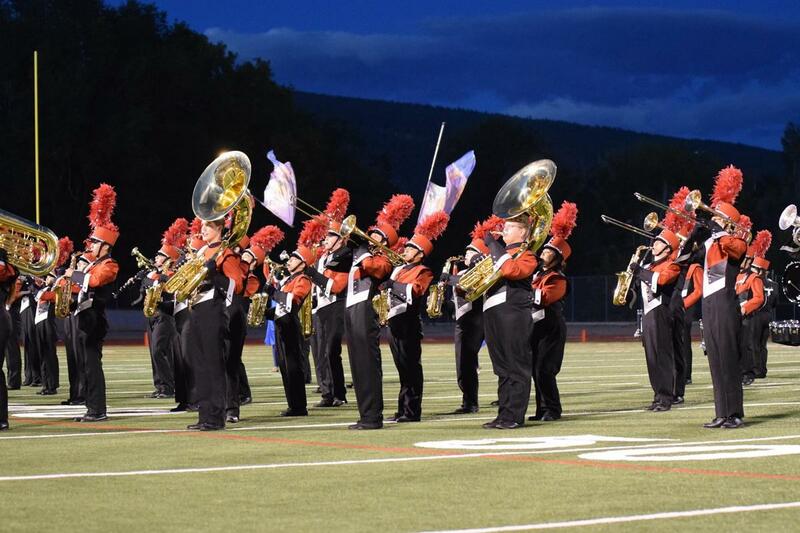 The DHS Red Pride Marching Band will travel to Pueblo, Colorado at the end of the month where they will compete in the state competition on October 29th. Good luck, DHS!